If you want your business to succeed, delivering the best customer experience matters. According to a HBR article, customer experience is no longer dependent on just providing excellent customer service or offering quality products. Nor is it about the critical moments when customers interact with your organization. The new way of customer experience considers the customer’s end-to-end journey with your business, as well as the cumulative impact of multiple touchpoints over time that result in a real and lasting relationship. Simply put, it’s about building, nourishing, and sustaining customer relationships over the full lifetime of the customer-brand relationship. Today’s technology allows customers to establish an interactive relationship with companies through social media and the Internet rather than simply experiencing moments. Creating the best possible experience for your customers is crucial, as customer experience has increasingly become a benchmark for success amongst businesses. A study of 860 corporate executives by the Strativity Group in 2009 revealed that higher customer referral rates and customer satisfaction ratings were given when companies increased their investment in customer experience — proving that having a good customer experience strategy in place is key. Customer service has been relegated to “just” solving customer issues, but the real objective should be to build a lasting relationship with customers. Base the experience on customers’ individual needs by using analytics-based cross-platform marketing systems. Using historic and real-time data from a CRM system, sales/marketing agents can proactively provide information to customers that is personalized and catered to their individual needs. 2. Integrate the user experience. 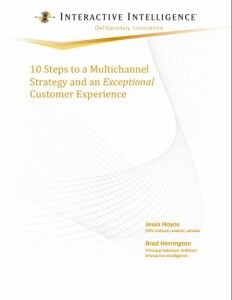 If you want to deliver a great customer experience, you need to address the multichannel customer experience dimension. The trend of people using various channels and methods to interact with businesses isn’t disappearing anytime soon. This makes it important to integrate all support channels by being consistent, available, channel-neutral, content-optimized, and generally seamless. You need to ensure that what a customer experiences in one channel is the same across others, and that where they left off in one channel can be picked up in another. For example, it is very common that a customer uses a computer to surf the web for products, asks for feedback in social media, and completes the purchase in his mobile phone, tablet, or in a brick and mortar store. 3. Empower and engage employees. For a company to deliver great customer experience, it first needs to create a culture of initiating conversations and listening to customers instead of just solving customer problems. Agent performance is essentially the foundation of ensuring a good customer experience. Hence, keeping employees happy and training them to improve continuously should be a priority. 4. Remember the three Do’s of customer experience. DESIGN the right experience-focused value propositions. These are customer experiences tailored specifically for individuals or segmented customers. DELIVER value to the customer. When they deliver value, it’s not just the customer service front line that is on the job. Everyone in the company, from the marketing team to the supply chain team is involved in the whole customer experience. A CRM tool keeps these people in check and aligns their goals. DEVELOP the capabilities to do it over and over. These companies have developed systems to deliver consistently good customer experience again and again. They know how to take advantage of innovation to improve the experience. 5. Use technology to enhance the customer experience, not create it. The main takeaway from these best practices is not to focus on what technology can do, but how to use it to enlighten, enhance, and improve the customer experience. How do you make customer experience amazing? First, you need to define what a great customer experience actually means for your company. Let it be your blueprint, then identify what technology (tools and software) you need to make it happen. Find technology that you can use with your strategy — not that other way around. The multichannel trend is gaining momentum and showing no signs of going away any time soon. Technology tools such as CRM systems, web analytics and tracking tools can help you define the right metrics to deliver exceptional customer experience. In essence, developing a multi-channel strategy ensures that customers are getting the best experience possible. 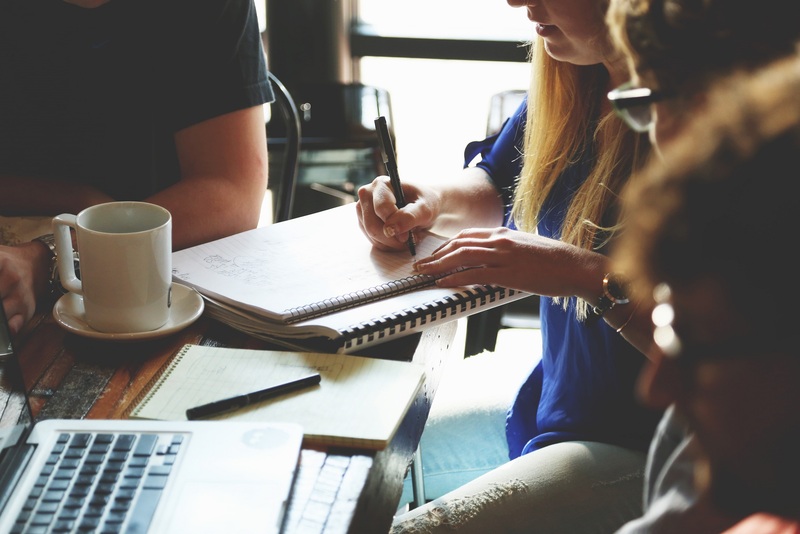 Collaboration across all teams and all channels is a skill that when managed well, will make sure that all of the components that contribute towards the customer experience are being addressed.